Nick and Taylors engagement session was a dream! They were so sweet to work with and I am so excited to capture their wedding next May! We headed out to Goose Creek around 6:30pm hoping to catch the sun as it was going down. Turns out we got there a little too early and ended up sitting on a log and chatting for a little bit waiting for the sun to get lower! Taylor owns her own calligraphy company and was telling me that she will be creating their invitations and I'm sure much more for the wedding. Im excited to see what she creates! Taylor really wanted some shots in the water and of course I'm always up for a couple jumping in the water. They did so awesome at just being themselves out there because with the wind and waves I couldn't give them any direction! 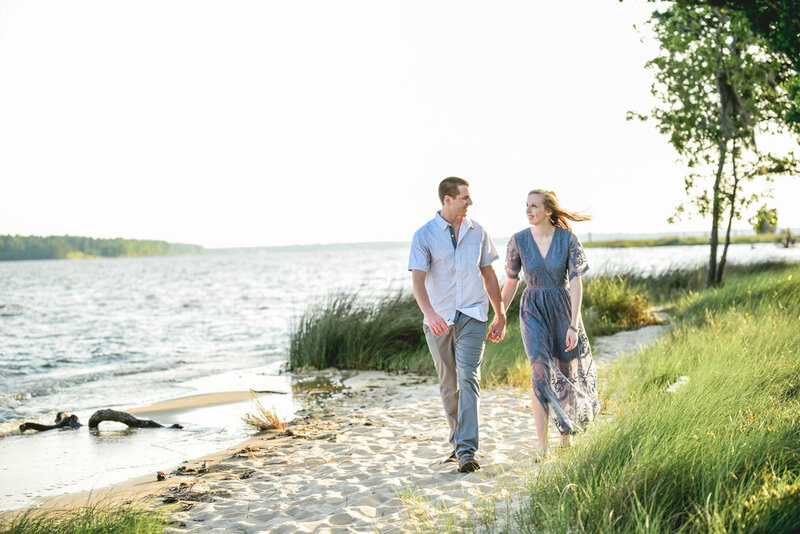 Check out my favorites from their engagement session below!